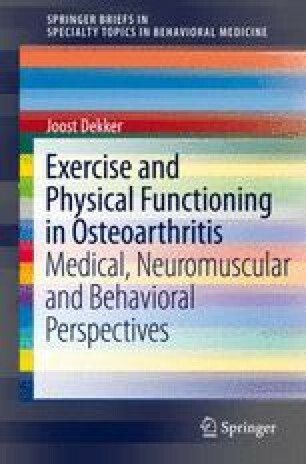 This chapter describes the neuromuscular model of activity limitations in knee osteoarthritis. The current scientific evidence for components of the model (i.e. muscle strength, joint proprioception, joint laxity and varus-valgus motion) is reviewed.